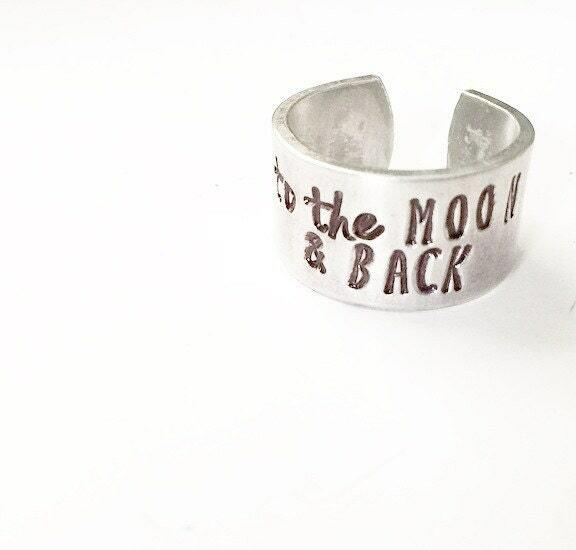 When you were a kid, did your mom ever tell you that she loved you "to the moon & back"? Its a popular phrase to express just how very much we love someone. 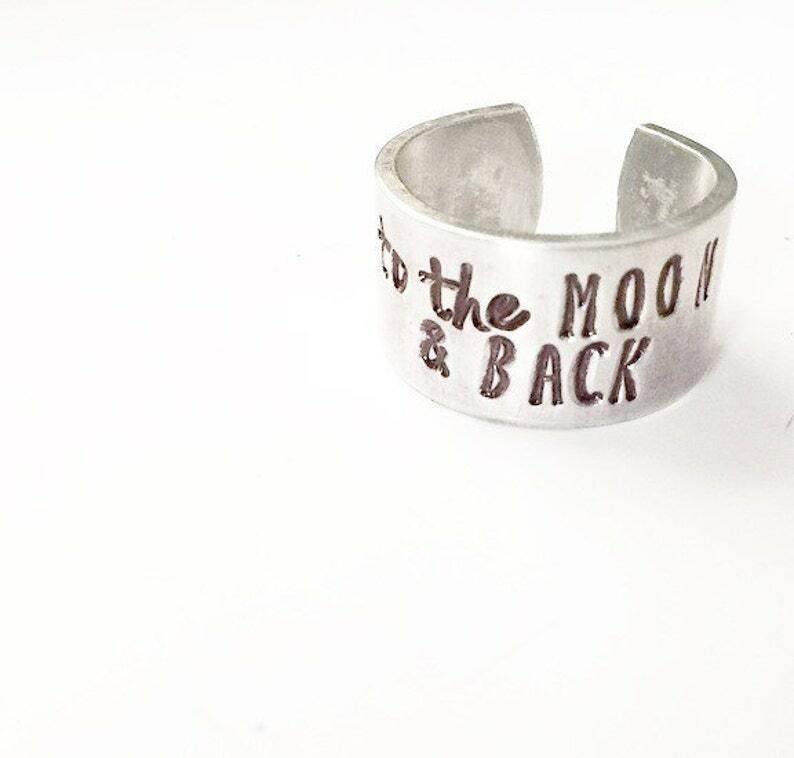 This ring not only captures that phrase but also has beautiful detailing in the back or the ring with scroll work, a moon, and stars.